Is your air conditioner capable of keeping you and your family comfortable as the weather heats up? A properly functioning system is crucial to being able to enjoy warmer weather and we understand that at Allegiance. But in order to get the most out of your A/C, it’s imperative to have the right team on your side. 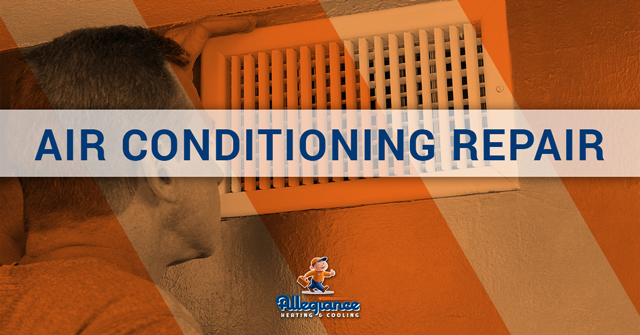 For nearly two decades, Allegiance has provided elite air conditioning service. Our HVAC contractors always work to help you get the most out of your system. Here’s how the process works. When you first call us to make your appointment, we’ll work with you to set up a time that doesn’t conflict with your schedule. You can then expect our certified technician to arrive on time and complete work as efficiently as possible. Allegiance customers feel at ease knowing that our team puts professionalism and integrity at the top of the list. What does that mean, exactly? We always treat your property as if it were our own, which is why we protect your flooring and furnishings with mats, tarps, and shoe booties. In terms of the work itself, there’s no need to worry about quality ever being compromised. Unlike other companies, our A/C professionals guarantee our work for the number of years you own your home. We also work to always obtain the best pricing on materials and equipment, allowing the savings to be passed on to the customer. There are also times where the A/C acts up right in the middle of the hottest stretch of summer. Rather than turning to noisy fans and other ineffective alternatives, give Allegiance a call for emergency air conditioning service. We can expedite the appointment process and get a technician to your home before you know it. For reliable AC repair and service, contact us today.